As every Roald Dahl fan knows, real witches are all around us. They don’t wear black hats and fly around on broomsticks – they are much more difficult to spot…..unless you know the telltale signs. 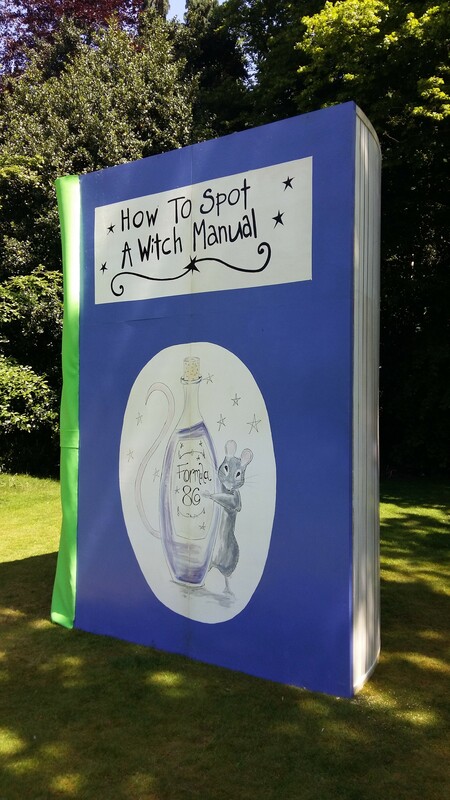 In celebration of its new How to Spot a Witch Manual installation – part of Roald Dahl’s Tremendous Adventures at Tatton Park – here’s the ultimate ‘Witch Spotting Checklist’ for all boys and girls. They always wear gloves. Witches don’t have normal fingernails, they have thin claws, like cats – which is why they wear gloves ALL THE TIME, even indoors. They are bald as a boiled egg. Many choose to wear very realistic wigs – don’t be fooled! Real witches have an amazing sense of smell due to their very large nose holes – they can smell a child from across the street. And the cleaner the child, the easier they are to smell. Their eyes change colour If you look carefully at a real witch’s eye, you will notice the pupil changes colour – it will send shivers down your spine. They have no toes Real witches have feet with square ends – but they try to hide this by squeezing their feet into pretty shoes. Watch out for them limping! They have blue spit Real witches have spit so blue they can even use it to write with it. In addition to How to Spot a Witch, a number of other activities are taking place at Tatton throughout the year – including trails around the gardens and mansion , based on books such as Matilda, Fantastic Mr. Fox, Danny The Champion of the World and more. For the Roald Dahl year Flyby have also created a giant Willy Wonka inspired chocolate bar, a huge chair inspired by The BFG and a chokey from Roald Dahl’s Matilda amongst other creations. Forget the children, I would love to visit this as that was one of my all time favourite books. Ahh you can’t beat a Roald Dahl book! This installation sounds wonderfuk – for kids (and adults!) of all ages. I love Roald Dahl I grew up reading his books. This looks great i’ll have to take my little brother and sister. I used to have all the Roald Dahl books as a kid and they were a lot of fun to read. Regardless of his portrayal of characters which many critics saw as demeaning towards certain groups i.e. women his imagination was unparalleled. I love Roald Dahl, although when I was younger James and Giant Peach use to freak me out a little. I would certainly like to go visit! Looking forward to reading about your exploring day soon! I wish we lived closer too. My kids would love this so much. I loved that book and the film when i was little! It was such a fantastic story. So exciting that there’s now a special event dedicated to it.